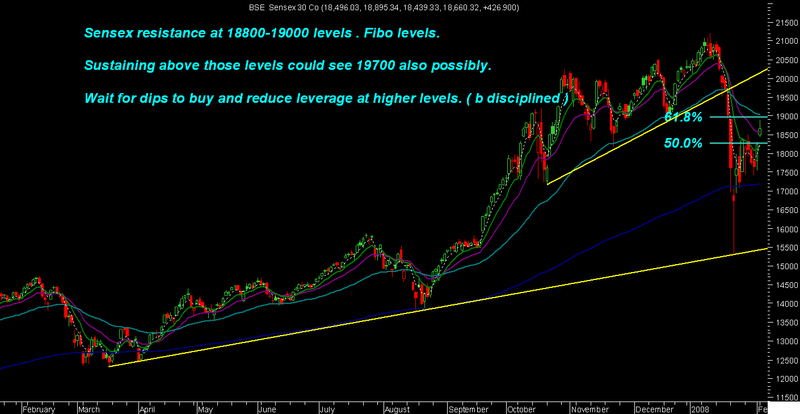 As was being said in last few days rebound could be seen to 19000 levels. Markets touched the 61.8% retracement . Only on sustaining those levels could we see 19700 levels. Strategy is if people who are stuck or over leveraged from higher levels should reduce . Buying to be done on dips in good quality stocks which have over corrected. All the world indices bounced back 5-8% as expected . Sensex gave a rebound of 1000-1200 points from the time the charts were posted 2 days back. Still more is left but with volatility and dips. Banks is one sector i continue to like and are the best bets on declines. Canara Bank , Central Bank, PNB , Ktk bank DCB all of them look good with a 1 yr view. Accumulate on dips. Pick the ones u prefer. Ispat , nagarjuna and others previously covered as buy on dips have moved up a bit and one should book profits at 10-20% gains and wait for dips. Peninsula Land , Pennar Inds , Hind Oil exploration are good funda bets which have come to nice levels for investment with a view of 6 months and 20-40% gains. Accumulate slowly on dips from here. 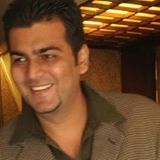 TECHNICAL ANALYSIS SESSION MUMBAI FEB 9-10 .